Chuck Merriman, Hanshi traveled to New Jersey recently to instruct at Vince Morris, Sensei's Kissaki-Kai Karate-do 2013 International Summer Seminar which was held in Marlton, New Jersey. Merriman Hanshi is one of the leading practitioners of traditional Goju-ryu in the States. He was know both for his kata performance as well as his ability to coach some of the top international competitors representing the United States during the 1980's and 1990's. The Heilman's were made aware of the visit by Mrs. Eva Morris, who recently came up to the IKKF Honbu to work weapons with the Heilmans. Mrs. Morris has training in Taira Kobudo as well as Odo Lineage Kobudo. 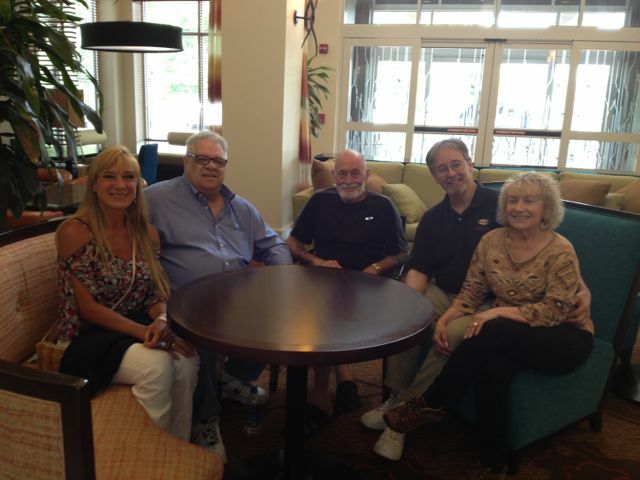 Ron Martin, Hanshi and Carla Molinaro, Kyoshi, also came along with the Heilman's to New Jersey. Martin Hanshi was/is a long time student of Merriman Sensei and both Martin and Molinaro practice Goju-ryu Karate-do. We were able to spend a nice afternoon with Merriman Sensei and were invited back to the Kisaaki-Kai evening Party at which we had the opportunity to meet and get to know a number of the Kissaki-Kai Seminar participants - a great group of traditional martial arts practitioners. Morris Sensei is a well know and respected martial artist and author of numerous books on the arts. It was a day that can only be described as "priceless".. Hanshi's Heilman and Merriman also discussed the possibility for Merriman Hanshi to attend next years IKKF Annual Training (our 30th) as a Guest Instructor. He indicated he would love to attend. We look forward to making this happen. A couple photos of the visit are presented below. 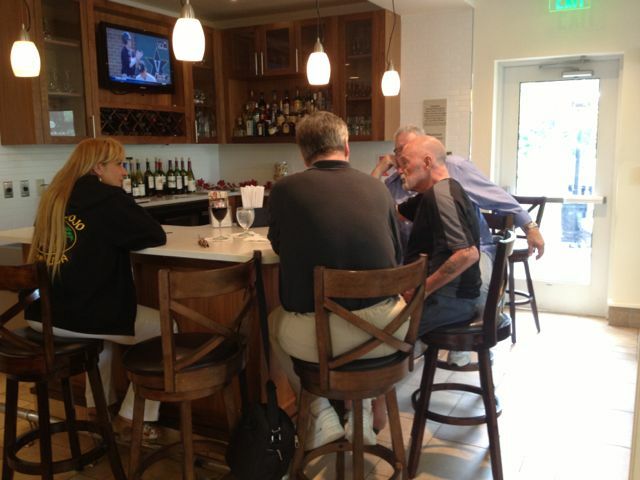 Hanshi Chuck Merriman, center, with left to right, Carla Molinaro, Kyoshi; Ron Martin, Hanshi; Bruce Heilman, Hanshi; and Ann-Marie Heilman, Kyoshi spending a little time together reminiscing about old times in the lobby of the Hilton Garden Inn in Mt. 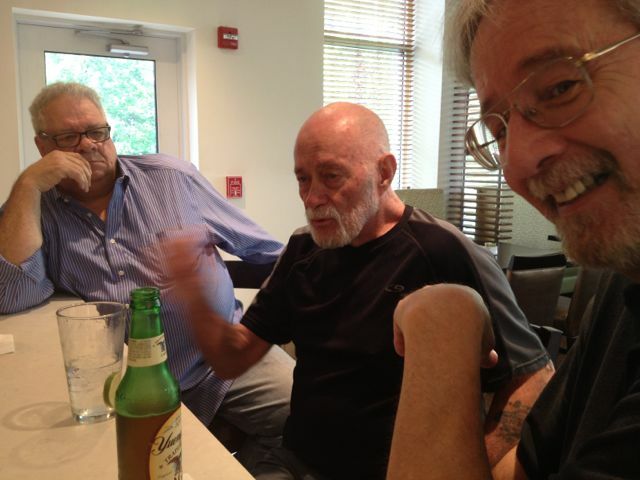 Laurel, N.J.
Merriman Hanshi making a point during discussions with Hanshi's Martin and Heilman during recent visit to New Jersey. The Hotel was very nice to us in that they opened up the bar for our little group to share a couple of drinks and swap old stories. Mrs. H was taking the photo, hew wine is in the photo between Molinaro Kyoshi and Heilman Hanshi.